Comedian Kathy Griffin had high praises for fellow comedian Michelle Wolf on Saturday, saying she "loved" Wolf's routine at the White House Correspondents' Dinner. Griffin spoke with reporters just moments after the annual "nerd prom" wrapped on Saturday night. "I loved it. 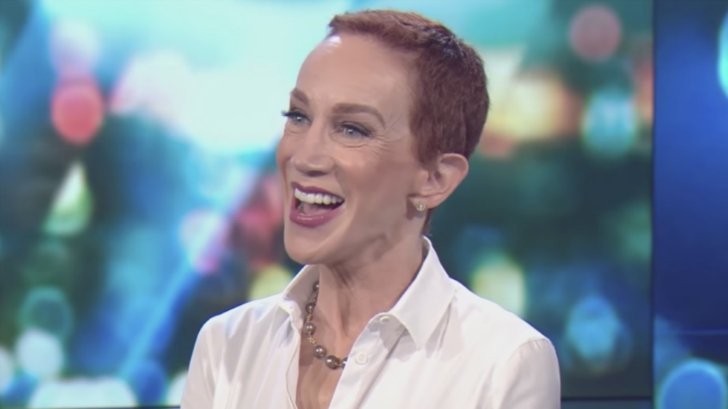 I thought she really did what she needed to do," Griffin told reporters of Michelle Wolf's set. "As a female, you've got to work harder, you've got to jump higher. And she did it. She went there - fearlessly." "I thought frankly the audience reaction a couple times were tepid, and I really felt it was because she was a woman. I think a lot of her comments made these straighty, backwards dinosaurs uncomfortable. And I live for that," she added. Wolf went after Trump and his top aides during her comedy set on Saturday, ruffling some feathers. It was Trump's second year skipping the dinner, which brings journalists and government officials together to raise money for scholarships.